Kathleen Louise Greiner born February 17, 1950 of Grand Rapids, MI passed away unexpectedly on Sunday February 18th. Kathy leaves us a legacy with her lifelong example of helping others through her 30 years as a social worker, involvement in the Catholic church as a member of St. Thomas the Apostle in Grand Rapids, regular volunteerism at such organizations as Meijer Fredrick Gardens, and as a caregiver and supporter of her family. 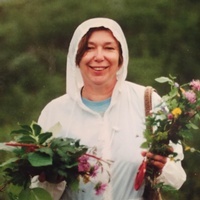 She also loved to garden and was a Michigan Master Gardener. She is survived by her siblings, Mary Greiner of Pittsborough, NC; Joseph Greiner (Mary Susan Greiner) of New Buffalo; Jerry Greiner of Maysville, KY; Patricia Bailey of Grand Rapids; and Nancy Cahoon (Tim Cahoon) of Southfield; as well as 17 nieces and nephews. Kathleen left behind many lifelong friends. She will be dearly missed.